1880s autograph album that belonged to Charles Mutschler; most of the autographs appear to have been collected while Charles' family was living at Dushore, Pennsylvania where his father was a minister. 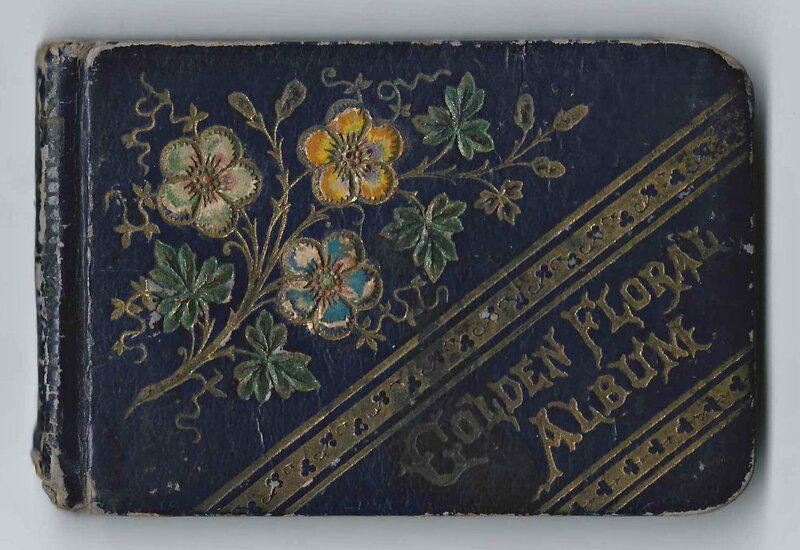 The album is approximately 4-1/2" x 3" and includes the sentiments of 42 of Charles' relatives, friends and schoolmates. 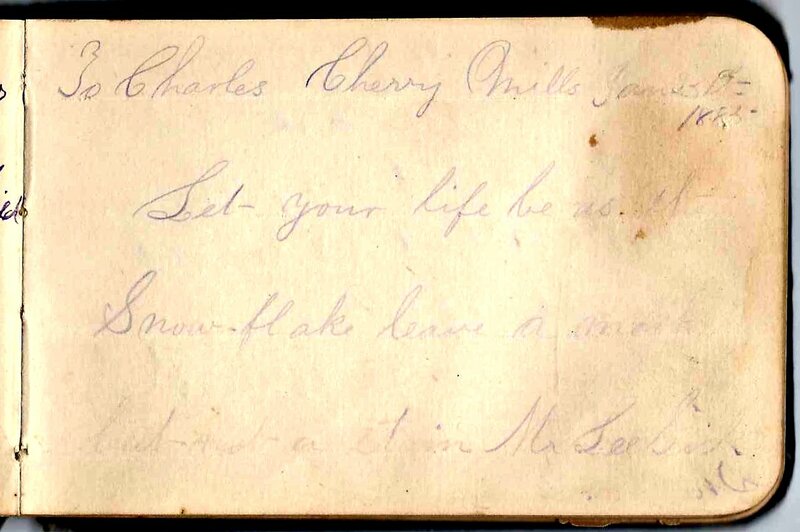 One of the signers was Charles' sister, Emma Mutschler, who penned her page in 1885. 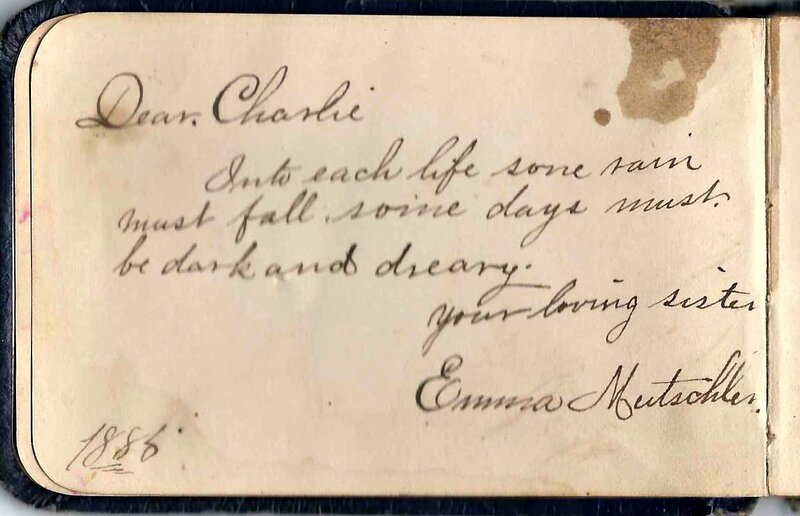 Since it appears that several of the first pages are missing, including an ownership page with Charles name on it and a title page and more perhaps, it was Emma's page that helped me identify Charles. 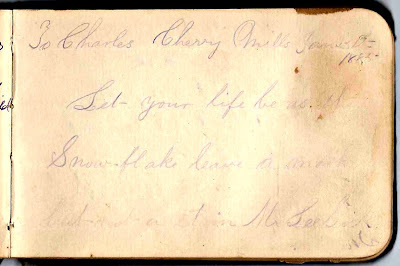 Another signer gave Charles' name as C. Mutchler, in error. 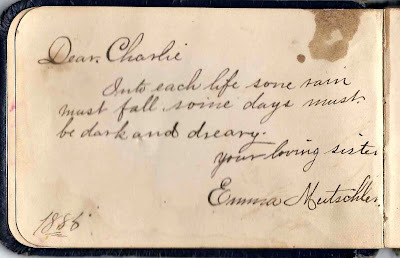 There was a Pennsylvania family with the name Mutchler with a Charles and an Emma, so thankfully Emma thought to include her name with its correct spelling, to keep me on the right track. According to information on the interesting and full life of Charles' father, Civil War veteran Rev. Christian Henry Mutschler found here in "Northumberland County Biographies" [search the page for Mutschler], Charles Henry Mutschler was born 1 June 1871. His mother was Rev. Mutschler's first wife, Lovenah Sarah (Bender) Mutschler. About 1893 Charles married Bertha M., whose maiden name and place of birth I haven't yet found. Hopefully a reader with knowledge of the family will happen by and leave a comment. They lived at Sunbury, Pennsylvania and had at least one child, a daughter Ruth born about 1895. If you have corrections and/or additional information on the Mutschler family, or information on any of the signers listed below, please leave a comment or contact me directly. Thanks! Bertha ?, signed on 24 June 1888; first letter might be W or N or H or ? 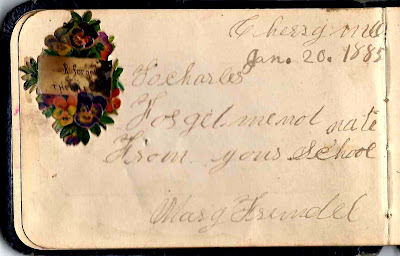 ; last three letters appear to be "olf" or "alf"
Mr. Leo Sick, signed at Cherry Mills, Pennsylvania on 25 January 1885. "Mr." might be the initial "M."; first name might be Lee; not positive of surname, though a later page signed by Libbie Sick points to a possible Leo & Elizabeth Sick. 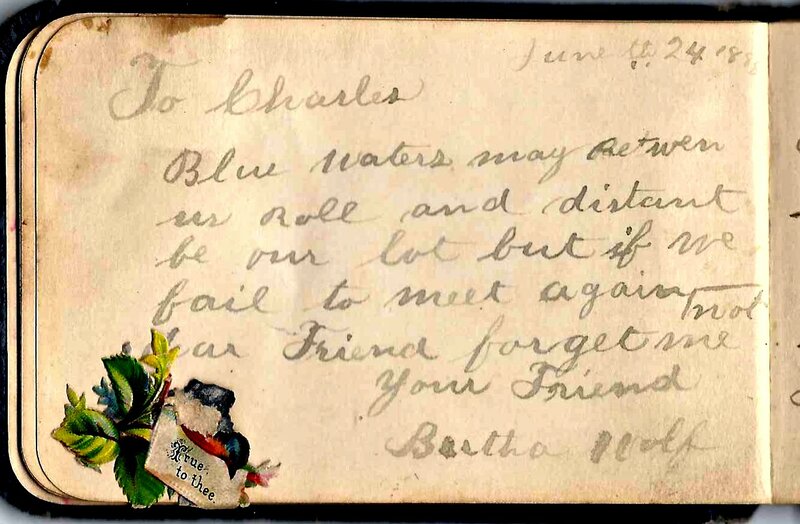 Bertha Wolf, signed on 24 June 1888; not sure surname is Wolf, but last three letters appear to be "olf" or "alf"